Shower, exfoliate, and shave before your tanning session. 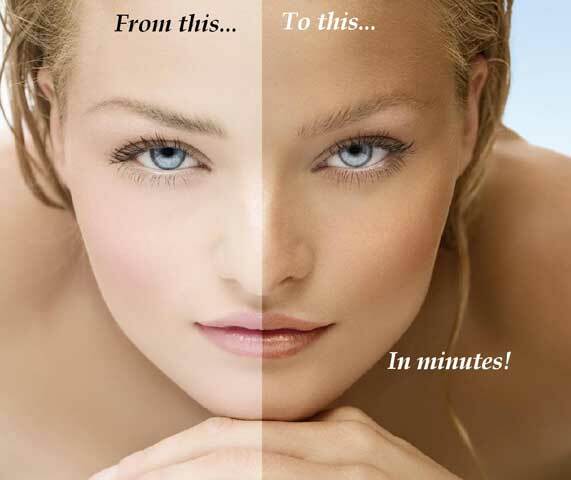 Do NOT use a moisturizing soap or body wash (especially Dove) before you tan. Use either a clear body wash or a bar soap that is a bit drying, like Ivory, Dial, Irish Spring, Lever 2000, or Zest. Shave at least 4-6 hours before your appointment. If you tan right after shaving, your pores may be wide open, and you may get little dots on your legs! If you must shave close to the time of your appointment, please make sure to splash cold water on the area to close your pores as much as possible. If your appointment is later in the day, you may need to shower before coming to remove any sweat and oils from the day. 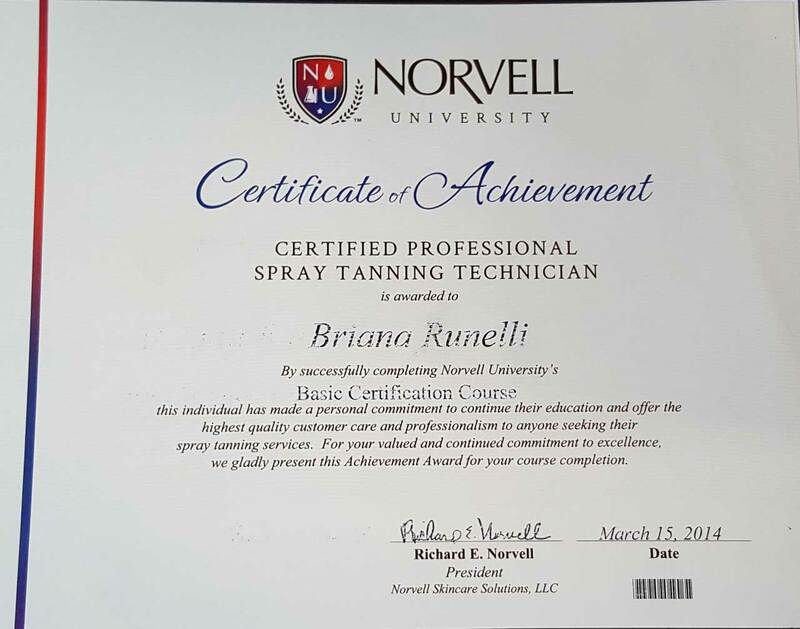 Please be aware that even sweat can inhibit the tanning solution from soaking into the skin. Skin should be clean and dry before being sprayed. 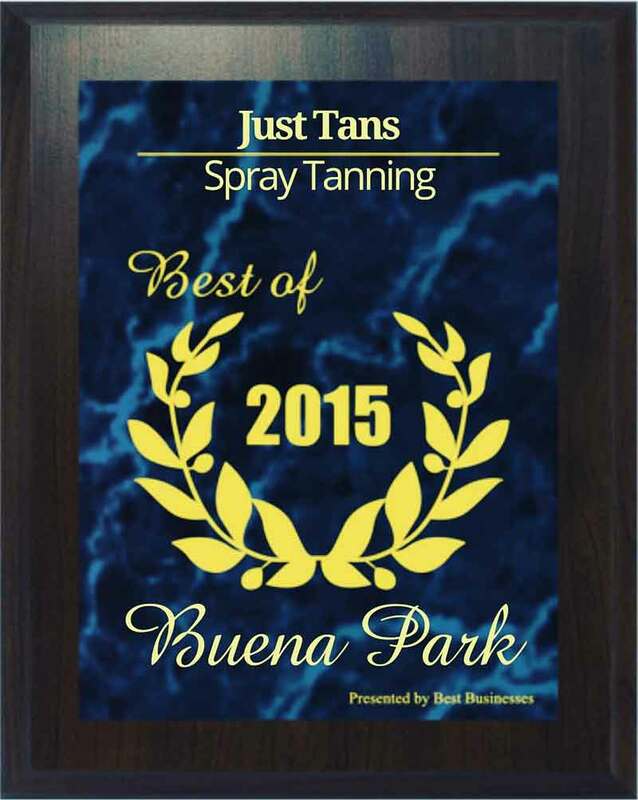 Don’t apply moisturizers, deodorants, anti-perspirants, oils, or makeup before your tanning appointment. They can effect tan development. Wear loose long cotton pants (like pajama bottoms), loose t-shirt, and flip flops. No sundresses or shorts. You will not be able to get wet or sweaty for at least 8 hours (until you shower) – so please plan your day accordingly. If it is raining, be sure to bring an umbrella and/or hoodie, slippers. If you get rained on, you will streak or spot! Wear loose fitting clothing for 8 hours, while tan develops. Don’t exercise, sweat, swim, or bathe for 8 hours. Apply moisturizer once or twice a day (after showering and before bed) and if you choose, apply an extender once a day or every other day. Avoid exfoliating skin. Some products can cause faster fading – bar soaps, alcohol based products such as toners and astringents, products that cause exfoliation such as AHAs, BHAs, Retin-A, etc. (anti-aging, anti-acne, regenerating, renewing) Make sure that you shave with a sharp razor to avoid exfoliating skin. M - F: 9 a.m. - 9 p.m.
S: 9 a.m. - 8 p.m.